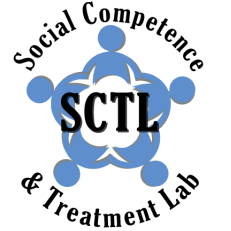 ﻿The Consortium on Autism and Sign Language (CASL) is a unique “meeting of the minds” intended to further develop a framework for the study of social communication in autism and uncover fundamental features and capacities for communication for those who face challenges with social interaction. The meeting is hosted by the American Academy of Arts and Sciences in Cambridge, Massachusetts. The Academy is one of the most venerable scholarly organizations in the United States. This year’s CASL symposium aims to further refine some of the core hypotheses established during the inaugural CASL event, including the precision hypothesis and the topic of unique social-developmental trajectories for individuals with autism. Further, the conference will develop more precise empirical methodologies necessary to advance this novel research paradigm. The Precision Hypothesis: The precision hypothesis proposes that individuals on the ASD spectrum place higher value on precision in communication (rather than efficacy of communication) than do neurotypical individuals. Unique Social-Developmental Trajectories: In light of unique starting points and idiosyncratic developmental cascades, what does it mean to identify ‘optimal’ social-developmental trajectories and their outcomes within atypically-communicating populations? Can this be achieved in a way that acknowledges strengths associated with atypical development, as well as commonly identified challenges? There will be three sessions discussing these hypotheses. The sessions will offer two 30-minute presentations from experts in the field followed by a 15-minute summary from a discussant that will frame, contextualize, and deepen the discussion of the topics presented by the speakers. There will be additional time for Q&A from the audience at the conclusion of the presentations. The roundtable sessions will be an intimate setting in which six scholars will engage in conversation, exchange information, and network ideas related to the specific theme of the roundtable. These roundtable sessions will be open to an audience, and will allow for a Q&A. Discussion of how we talk about “disability” in various settings. For more information on presenters and other world-renowned scholars, please click here. For further detail on session times, please click here. For more information about the sponsors of the 2015 CASL Conference, please click here. For location of the event, please click here.